A “New Buffalo” is emerging, and civic optimism is riding high in western New York. In 2014, the city and region marked the reversal of a 50-year decline in population amidst a burst of economic revitalization, including the creation of new jobs in health care, academia, research, and clean energy. 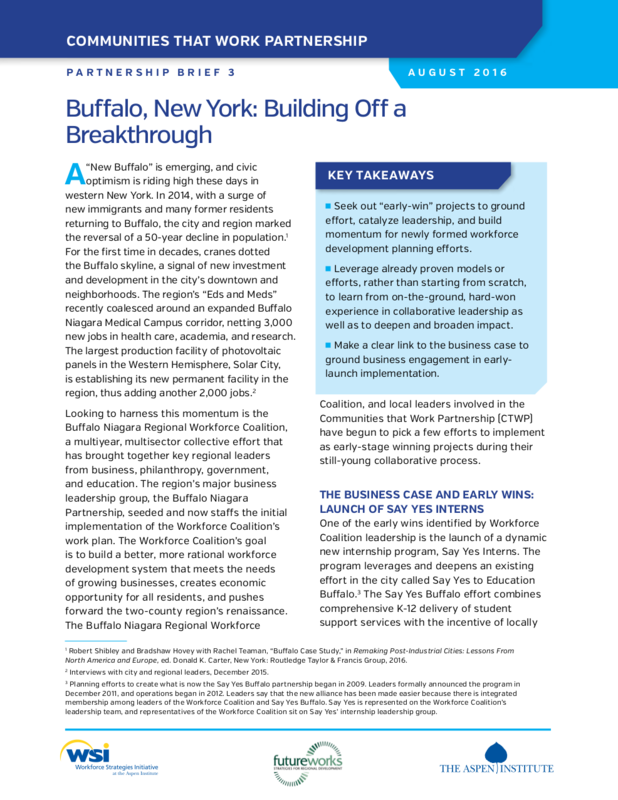 Looking to harness this momentum is the Buffalo Niagara Regional Workforce Coalition, a multiyear, multisector collective effort that has brought together key regional leaders from business, philanthropy, government, and education. Skilled workers and good jobs are essential for ensuring robust economic growth, a thriving middle class, and broadly shared prosperity. 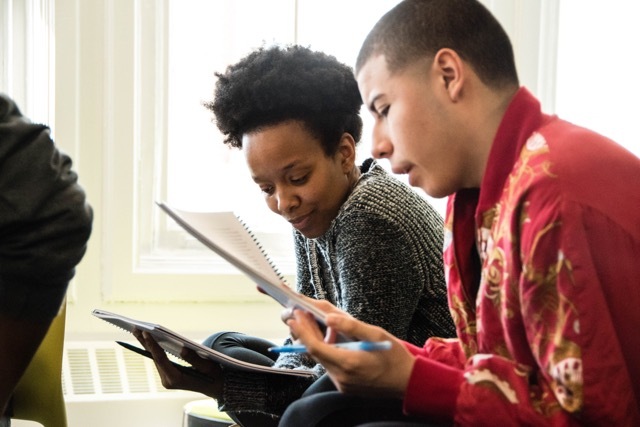 Increasingly, companies and public agencies — including those in education, workforce, and economic development — are partnering to design innovative ways for workers to gain skills and earn credentials that companies will value and reward. These efforts facilitate the creation of good jobs, support strong businesses, and build healthy communities. 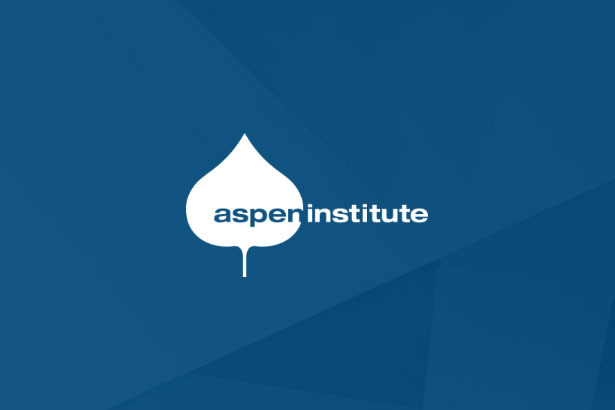 In April 2015, the Aspen Institute Workforce Strategies Initiative jointly launched the Communities that Work Partnership with the US Economic Development Administration. The purpose of this initiative was to document and accelerate the development of employer-led regional workforce initiatives across the country. Seven competitively-selected sites — in Arizona, California, the District of Columbia, Georgia, New York (upstate and NYC), and Texas — participated in a learning exchange focused on bridging economic and workforce development to strengthen local talent pipelines and improve access to quality employment. Join the conversation on Twitter using the hashtag #communitiesthatwork.